Hi, my name is AJ. I have an MBA and have been in management and leadership roles in one form or another for the past 30+ years. I am passionate about business, particularly analysis and project management. I also really enjoy teaching and writing, as well as video editing as a hobby. I look forward to connecting with like-minded entrepreneurs inside the WA community. I currently live in Tennessee with my family, but we will soon be relocating to Oregon. My goal is to transition into retirement as an online business instructor/trainer and travel the world with my lovely wife. Thanks so much for the follow AJ - I read some of the comments below and it's great to have you in my network here at WA. I have a niche site going ok and I'm planning to do the bootcamp soon as I can see it maybe elaborates on some areas I need to know more about. GREAT article. Your description of our journeys sounds like mine. Your writing style is much like mine so of course I thoroughly enjoyed the article all the way from solid info to humor. I would love to privately pick your brain on some subjects but (I realize I probably did something wrong) it was not obvious to me as to how I can ask a question. I prefer some privacy in that process if you are willing to point me in the right direction. For now, I can honestly say that you article is something that all (relative) newbies should read first before we do anything else. Here is a brief description of situation. 1. I can write. I think I am approaching 40k words. 2. I have good research skills. 3. I have what I feel is a good and humanly important niche. 4. Since September 2018, I have done a lot of the above with very little results and certainly no sales = no profit. 5. To me it seems like I have most of the components but I am not feeling like I have it put together properly. For example, writing articles/blogs: where do they serve me best? Why I am not getting any useful info/help from all of the Google tools, and I am one of those people who spent a chunk of money buying Google Ads with NO positive results. I almost feel like since I insisted that Google change my campaign to actually represent my stuff and not advertise something completely unrelated, that I have been unofficially BB'd by them. So, I think I have good pieces and now I need some site organization followed by substantial dose of site glue. Naw mean? No worries. Just shoot me a private message with a link to your site and I'll take a look when I get a chance. Here is my take on it... although Kyle reveals the affiliate part early in the training, it is pretty much just that: training. The challenge is that you can have all the links in the world, but if there are no "eyes" there to see them, you still won't make a dime. As such, I recommend that you don't worry about the money part (ads, links, eytc.) right now. Instead, just focus on writing the best content you can. Once you have a steady stream of traffic, it's simple to go back in and add a few links here or there. Thanks for the quick reply. So I guess I have to make a post first and talk about the product I want to promote. But then can I mention about the name of the vitamin on my post? Sure. I do it all the time. In fact, I had niche site that I even added links to for stuff that I was not an affiliate for. I have no problem sending someone to another source for information and/or a recommendation, without any thought of making money up front. Just make sure it opens in a new window so they don't lose your site. Remember, at this stage, the name of the game is creating a relationship with your readers. It's about building trust. Think long term. Put yourself in the "story"... if you went to my site and consistently found what you were looking for week after week, and you came to trust me over a period of several months, would we then have a positive relationship? And then, say, nine months down the road, I send you an email or create a review where I am standing 100% behind a product and saying it's the best thing since the discovery of fire, given our well-established relationship, would you even question it? Would it come across as "spam". Or would you think to yourself, "He's never let me down before, so I'm going to trust him on this as well"? A great mentor of mine once taught me, "You can get everything you want in life, if you only help enough other people get what they want." Oh thank you so much. You just opened my mind. It make sense. Thank you. And I like your mentor. He gave you the best quotes of encouragement. I have one too “People who are smarter than you make up your game. Smarter people make you smarter” and you are that person I’m talking about. Thank you and I believe in good karma. Cheers. Sounds like something Earl Nightingale would say. Yeah, loved Zig. I actually had the honor of working with him a few times and even had a wonderful sit-down lunch once. He was so full of wisdom; I could sit and listen to him for hours and days. He's is truly missed. Amen. I binge listen to him from time to time. Zig, Earl and Jim Rohn are the big three. I wish to put my own made videos, related to the subjects, I am writing on. I do not wish to show my face on it but wish to explain the subject with powerpoint slides. I am not a computer savvy person. Keeping that in your mind, Can you suggest me how can I achieve this in a simpler way? Any FREE program or software that can help me in this regard? As far as free software, there are several good choices out there. I am quite partial to Blackmagic's "Davinci Resolve". It is my go-to software any time I need to create video. It's free and its extremely powerful. One, there is a huge learning curve, so it's not good if you have no editing experience and need something right now. I've been working with it for a couple of years now and still haven't used it to its full potential. And, two, although it is free, it is a true professional program, even being used in Hollywood to make some of the biggest blockbusters in the last few years. Thus, it requires a LOT of computer resources. If you don't have a strong system -- think gaming computer, not Chromebook -- it may not run properly. That said, here is a link that I found that reviews several different programs. I am sure you will find one that will work for you. I may trouble you again when I will be through with Oberlo. Please give me couple of days. When you say "add SEO", what exactly are you trying to do? If you have activated the All-In-One SEO Plugin like the training says, you shouldn't need anything else, so I'm not sure what you're asking. Sorry. Yes that's it activate the "All in one SEO" ....... when i opened my site to do that there was no Home Title or description on the dashboard, possibly meaning the site was not there! Ah, okay. Yeah, same dashboard and Appearance, but this time go to Plugins. Find your AIO SEO plugin and make sure it's activated. It should already be there as WA uses it as their default; but just in case, if you don't see it, just use the plugin search function to install it and then activate. Did that AJ but the web site format that i selected in the initial stages does not show up. I will attach a photo of what my site looks like and you will no doubt know where I'm at, I possibly didn't apply the web layout right at the beginning. Sorry I can't attach an image as I'm not a premium member yet. AJ it is an honor to be followed by one of the top 50. I've been following you for a while, already. I got to visit Oregon many years ago and it became one of my favorite places, especially the Columbia River. That area is stunningly beautiful - the mountains and forests are deep green, the river is obviously very deep and fast-moving, and there are waterfalls about every 500 yards. My plans to possibly relocate there never materialized, so I am jealous. But I am doing a lot of travel in Central and South America, and I highly recommend you start that part of your life as soon as possible! Yeah, I actually grew up in the Willamette Valley, so we are really looking forward to going back. It was awesome as a kid. From where I lived, I drove 45 minutes to the west and I was on the beach. I drove 45 minutes to the east and I was in the mountains. And, yes, we are hoping to do all kinds of travel, South America included. You do have some lovely goals already set in place and I wish you well with much success! Thank you kindly for the follow and I definitely return the favor! Good day to you, AJ, my name is Ken and I welcome you to WA and thank you for the follow. I'm following you back. I will soon be retiring from the printing industry and thus making my income from online marketing. I am hoping for a much better return on my investment than my career as a pressman. I look forward to working with you and helping you achieve success. I wish you much satisfaction in your online journey. Welcome to my WA family greatly appreciate you becoming one of my wonderful followers. Wishing you well with what I suspect by now has happened with you move to Oregon. For a time we were neighbors. I am in Illinois. I am going to be following your journey towards retirement with best wishes for success. I wish I had known about WA before retirement. AJ, Great initials. They were my fathers, and now my son's. Interesting story how that came about. I am going to follow you if that's ok. Appreciated kind words on Debs post today. Going much better now. I am also looking forward to much better weather than we have had this winter. Not a cold weather guy, and soon my goal is to travel somewhere warm during winter and work my business online. Yes, they are awesome initials. I was named after my two uncles, Tony (Anthony) and James. Thanks for the follow. I found your profile very interesting. I also was a project manager but in Engineering. Fortunately my job involved travelling to many countries. My wife came with me on some that enabled us to have a company subsidized vacation! Sadly I suffered financial losses in the Great Depression followed by Binary Option scammers. Although our retirement enables us to live a comfortable life we would like to do more traveling. WA is one path towards that goal. We do have much in common. Oh, and we live in LA. Congratulations on your brisk progress in WA. All the best in your ventures. 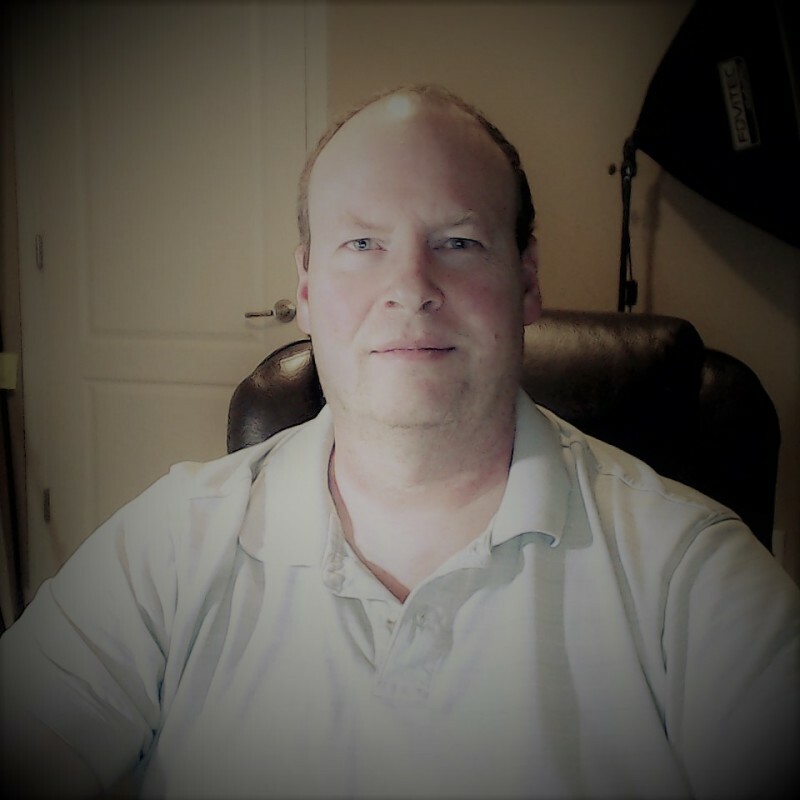 Hello I'm David and I wanted to make sure that you said to me in live chat a little be ago, that I will not be infringing on anther URL by changing My URL that says and means the same thing but looks different. Allow me to have ownership. Thank you. You need to research it and take it slow. If you are just moving around standard keywords you're probably okay. But if you are using a brand name or something similarly trademarked you will be setting yourself up for a lawsuit. For example, if I have a domain called "BestBaseballTips.com", and you decide to make "BestBaseballTechniques.com", you're probably fine as those are common usage words. On the other hand, if you create a domain called, "AwesomeJeepReviews.com" or "HowToBeatGoogle.com", that would not be okay since those are trademarked names. It's the difference between, say, the word "football" and the term "Superbowl". One is generic, the other is a brand. If you need more guidance and would like input, feel free to PM me with your idea(s) and I'll throw in my .02 cents. Hello AJ ... thank you for the follow. I get the sense you've also done some training in you career. Your video editing experience should come in handy as you go forward. I love C&W music. Are you very far from Nashville? We live about 25 minutes outside of Nashville, but we'll be moving back to Oregon this Summer. I love your logic, I love your plan, I love Oregon. Have lived in northern California most of my life, and frankly I now realize it's way too dry for my comfort. It didn't used to be, but I wont go there. We're not suppose to get political if you know what I mean. It's one of the NO NOs. Yeah, I was born in California. It's beautiful, but I don't think I'd want to live there these days just because of the cost of living. To put it into context, we have people that are selling 2-bedroom houses out there, moving to Nashville, and are now basically living in a mansion. That's crazy! I hope you are enjoying WA and learning a lot! My brother has lived in Oregon, it is a great place to live. We were just in Nashville for Christmas. We have a son who teaches at Ole Miss, they have four of our five grandchildren. We were together in Nashville and had a Grand Ole Opry Christmas! Yes, Oregon is great. My wife and I actually grew up there (after her parents moved her over from England), so in essence, we're really just going "home". Hi, AJ, and thanks for the follow! I'm also looking for like minded people to JV here in WA. We all have different skills and resources. If we share common goals, it makes sense to join and multiply our possibilities of achieving these goals. I can do analysis and project management, but I can't focus enough on them because I don't have the passion. On the other hand, I can think outside the box and find creative ways to do things. My goal is to push my limits while am down here, bend some rules if necessary, enjoy the ride and help others to do the same. Welcome to WA. Thank you for following me. I'm following you, too. I'm originally from Boston and lived in a city named Medford. I believe that's how you got Medford, Oregon. Have you ever been to Northeastern US? New England area? Much more charm than Pacific Northwest, lol. Portland area much like my home state. PS. I lived in the Memphis area for seven years. Tennessee is a beautiful state. Looks to me like you already have your Niche locked down. Awesome, some of the largest markets online are in the Making money online niches and Leadership. Great to meet you and thanks for adding me to your network have done the same. Never get stuck in the mud, if you do reach out for help its all about keeping up with the momentum. You’re bio screams IM GOING TO BE GREAT @ online entrepreneurship! Best wishes and thank you for the follow as I follow you back would love to pick your brain as I run a local business and find it fun but am nowhere near as efficient as I should be. Wow! Thank you so much for the compliment. Even with my background, I still have my doubts because I've never really been too tech-savvy. All of my business knowlege comes from the old brick-and-mortar days back when dinosaurs roamed the earth (lol), so I'm still trying to wrap my head around the online world. The training here has been wonderful so far. Hi, AJ, nice to meet you and thanks for adding me to your network. I'm happy to add you to mine as well. I also want to extend a BIG WELCOME TO WA and I hope you are enjoying all that is offered here. You're in the right place to make your goals come true. All the best as you continue this journey and I look forward to connecting from time to time. P.S. Oregon, that's only a few hours south of where I live. Hope your move goes well. Well, wherever you end up we will almost be neighbours. You have lots of time to prepare and Hope it all goes well. I mentioned being neighbours. I live n the Southwest corner of British Columbia, Canada. Enjoy Wealthy Affiliate. There are lots of people here only to happy to help you along the way with encouragement and helpful tips. Wealthy Affiliate is about training, but that is just a small part of this wonderful community. If you participate as well as train, you will gain so much more. I am hopeful you will seriously give this a serious try and I am sure you will be pleased with the results. This is a wonderful community of people who help each other achieve success. Don’t be afraid to ask questions, you will always get the answer you need. to learning, sharing, serving and earning alongside with you as we all move forward here. I'm a business analyst myself, in my day JOB. I just completed my first article, not including the About Me page, of course. I would love to get everyone's opinion on the new site and my first article (link on the right below). When I did the keyword research, my QSR was a tad high over what is recommended, coming in at 136, but I went ahead with it anyway because the AVG was extremely high at 9369, and more importantly, I felt a "What is..." article simply made the most sense for what I am trying to accomplish. 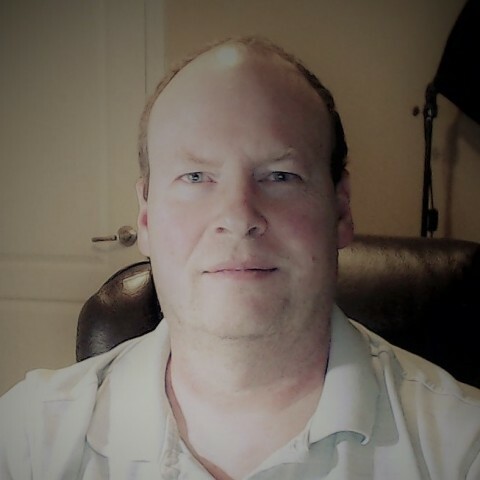 Hello AJ and Welcome To Wealthy Affiliate. If you get really stuck on anything then can I suggest you browse some of the 460 blogs I have published within WA. Thanks for the following AJ! I think you are going to find out quickly that WA will hope teach you everything you need to know to achieve your goals you have mapped out for yourself on your profile page. The only thing left is for you to take action LOL. I’d like to be one of the many members here at WA to congratulate you, on making what I believe to be an excellent choice toward a sustainable profitable website for securing your financial freedom in the near future, and that was upgrading to premium here on the WA platform. Hi AJTrimble1! Congratulations on your decision to upgrade your WA membership to premium status. I did the same about a month ago and I can truly say that I have no regrets. I came to WA as a complete "newbie" with no idea as to how to create a website. Since that time I have been able to create a site and actually have it ranked by Google! Trust me, if I can di this, then I know you can as well. There is much to learn but there is always someone there to help you out then you get stuck. The support you get is great and there are many WA affiliates waiting to help you. I wish you much success in your endeavors here with WA! Thanks. I have dabbled with these things for years, but found it was often more frustrating that it was worth. I will be the first to admit, trying to go it alone using YouTube videos only leads to failure. I truly cannot believe how simple everything has been here. It has been an absolutely fantasic experience thus far. Even had a slight "hiccup" with a site and Support got back to me within minutes, and after trying a few things and a couple of false starts, they had me back up and running in less than 10 minutes. Thanks a lot for the follow, AJ. All success to you. And you, sir. Although I am new, and your knowledge far exceeds my own, I always like to help when I can. Please let me know if there is anything I can do for you. Thank you, sir. I am enjoying the training and am impressed with your knowledge. I am looking at something to do with business analysis and project management. I just finished your niche lesson, so I'll know more after a little research. Excellent to hear Aj, sounds like you are making some good progress. As you continue to move forward within the training you are going to truly see your business take shape.